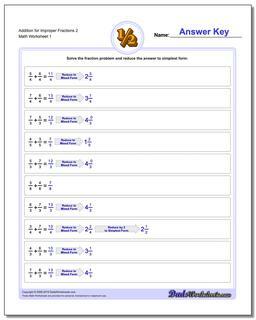 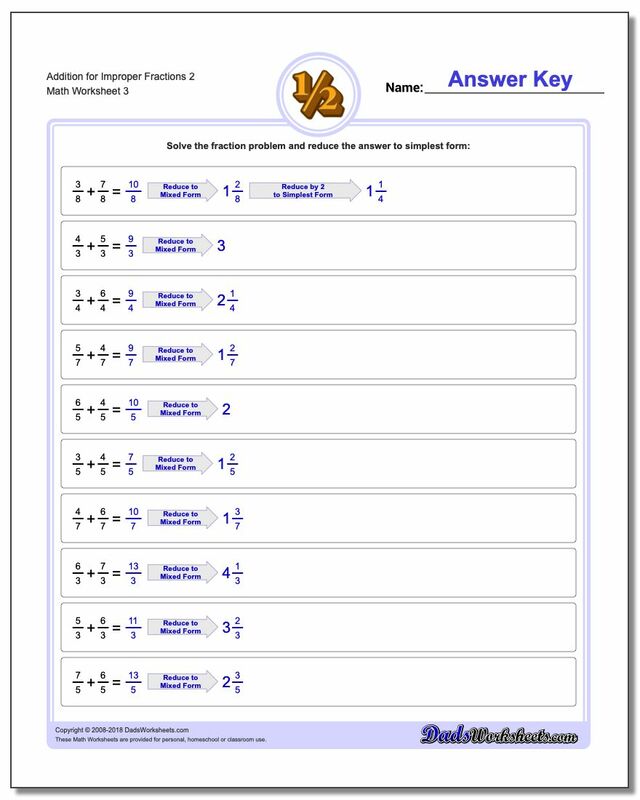 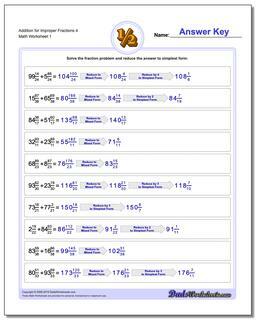 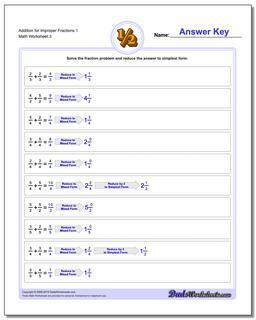 This is an intermediate step in our series of worksheets on adding fractions. 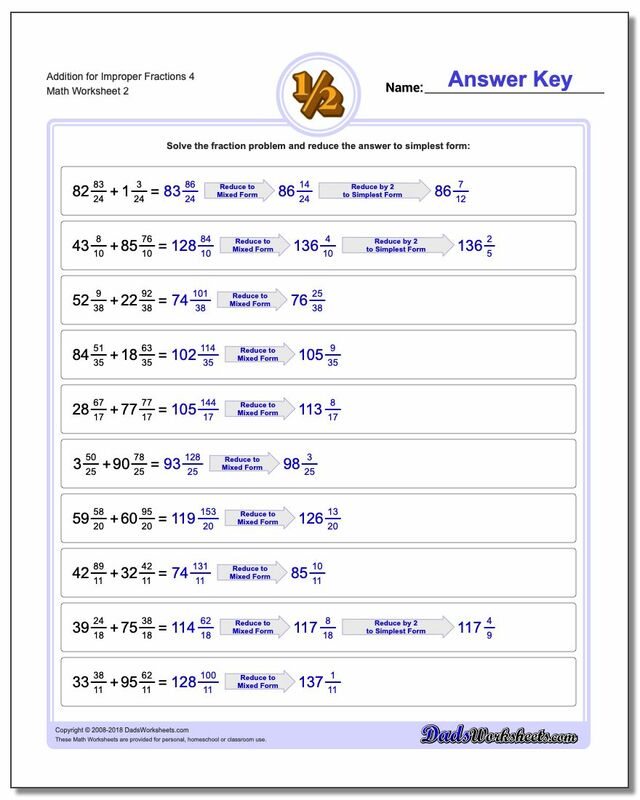 These worksheets have problems that start with improper fractions with like denominators that can be added, and then reduced to mixed fractions. 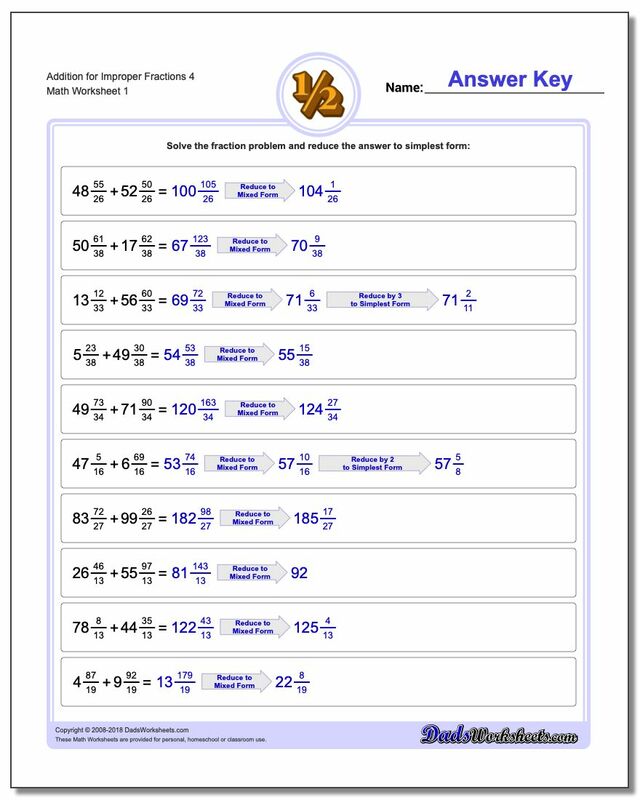 If students are uncomfortable when they encounter problems that start out in improper fraction form, these worksheets will quickly help.